Friday The 13th Part 2 had the daunting task of trying to not only rival the box office success of the original film in the franchise, but try to be more creative and scary. The film does succeed on some levels in trying to match the successful elements of Friday The 13th 1980, but the first sequel in the franchise plays mostly as a retread up until Final Girl Ginny Field encounters Jason in his shack in the woods. At this point, the film shifts to a more intriguing, suspenseful and scary film. 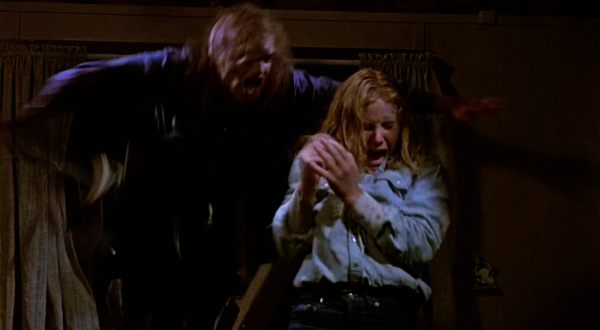 The most exciting scene in the film, of course, is when Jason jumps through the window in the infamous dream sequence ending to grab Ginny and pull her out of the cabin. It's a major highlight scene in the franchise and still gets first time viewers to jump. What's interesting to know is that there was an alternative ending encounter between Jason and Ginny that did not involve the window crash at all. 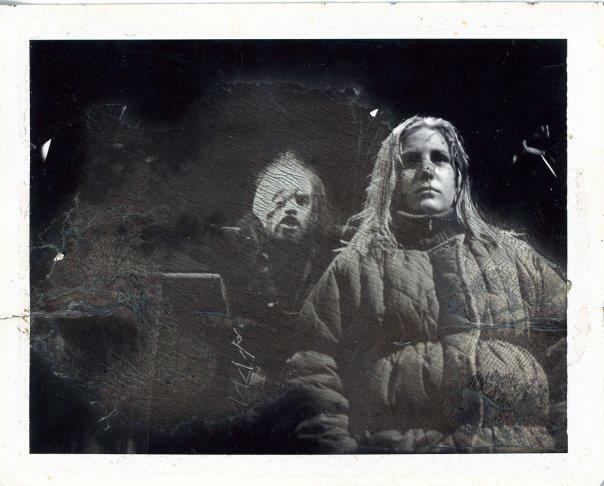 According to camera reports listed in Peter Bracke's Crystal Lake Memories, the alternate ending would have merely had Jason jump out from behind a dresser and lunge at Ginny for the film's final jump scare. It sounds very anti-climactic and luckily it was never filmed. Below is a rare behind the scenes image from the set of Part 2 that looks to be a lighting test for the window crash scene. However, with a piece of furniture to the left of Ginny in the photo, this gives an idea of what the alternate jump scene could have looked like. What do you think of the discarded jump scare? Would you have wanted to see this ending to compare how effective it was to the window crash we see in the film?